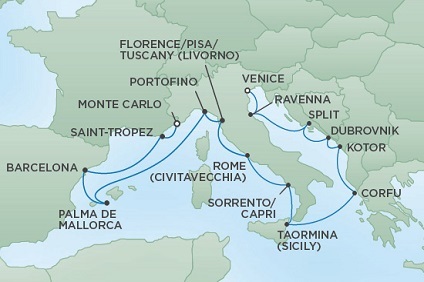 A trailblazer in the exclusive world of all-suite, all-balcony ships, Seven Seas Voyager® exceeds even the loftiest expectations for luxury. Considering her size, the amenities are surprisingly plentiful and include four main dining venues where you can dine wherever, whenever and with whomever you choose. With 447 international crew members attending to a mere 350 suites, personal service is exceedingly indulgent throughout. 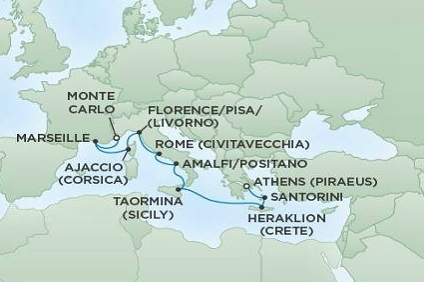 10 Night Cruise sailing from Athens to Monte Carlo aboard Seven Seas Voyager. 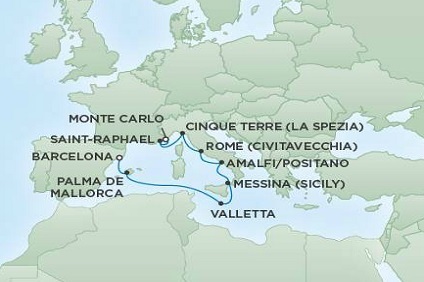 10 Night Cruise sailing from Monte Carlo to Barcelona aboard Seven Seas Voyager. 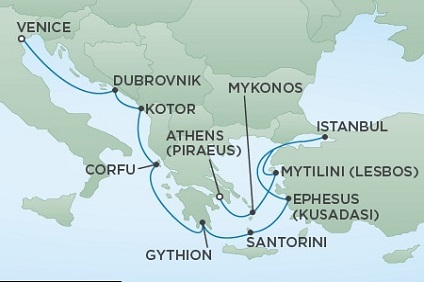 10 Night Cruise sailing from Barcelona to Athens aboard Seven Seas Voyager. 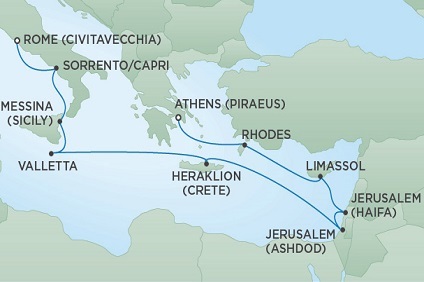 12 Night Cruise sailing from Athens to Venice aboard Seven Seas Voyager. 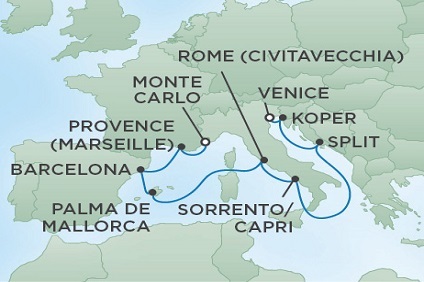 10 Night Cruise sailing from Venice to Monte Carlo aboard Seven Seas Voyager. 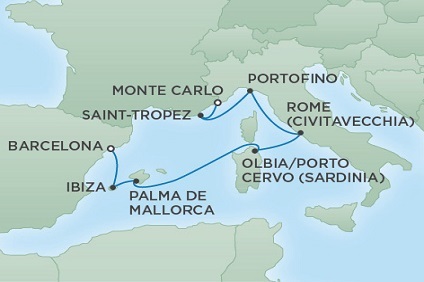 7 Night Cruise sailing from Monte Carlo to Barcelona aboard Seven Seas Voyager. 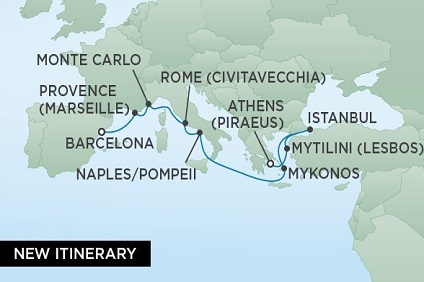 12 Night Cruise sailing from Barcelona to Venice aboard Seven Seas Voyager. 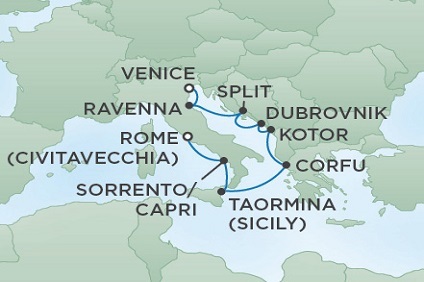 8 Night Cruise sailing from Venice to Rome aboard Seven Seas Voyager. 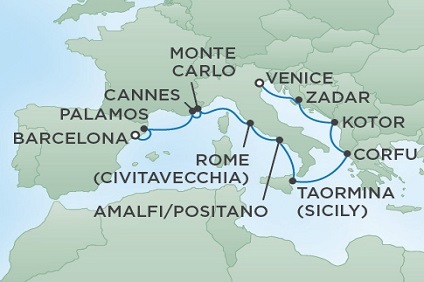 15 Night Cruise sailing from Venice to Monte Carlo aboard Seven Seas Voyager. 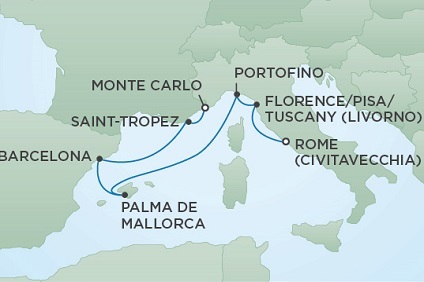 7 Night Cruise sailing from Rome to Monte Carlo aboard Seven Seas Voyager. 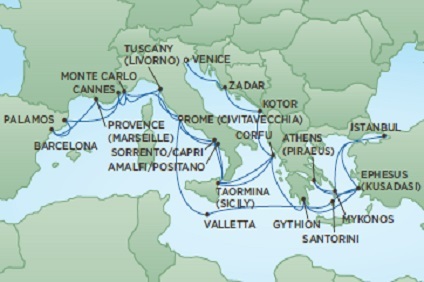 11 Night Cruise sailing from Monte Carlo to Venice aboard Seven Seas Voyager. 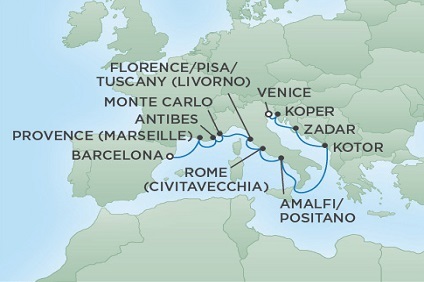 10 Night Cruise sailing from Venice to Barcelona aboard Seven Seas Voyager. 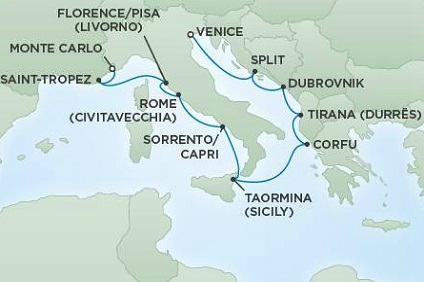 30 Night Cruise sailing from Venice to Rome aboard Seven Seas Voyager. 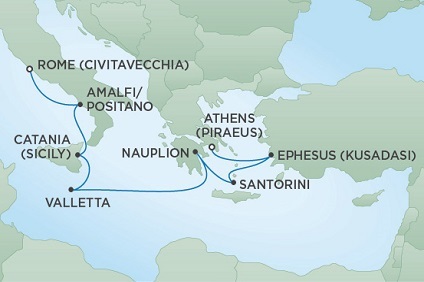 10 Night Cruise sailing from Athens to Rome aboard Seven Seas Voyager. 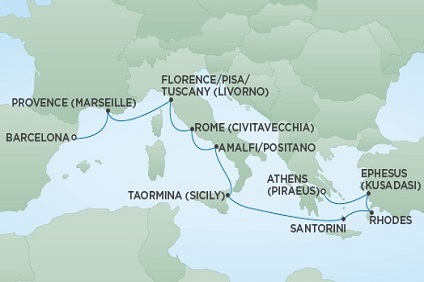 8 Night Cruise sailing from Rome to Athens aboard Seven Seas Voyager. 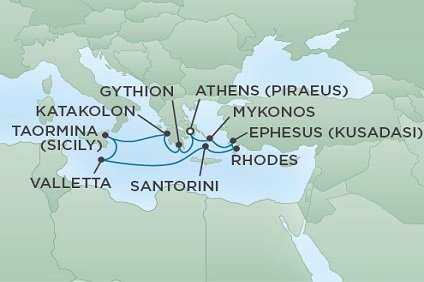 10 Night Cruise sailing from Athens roundtrip aboard Seven Seas Voyager. 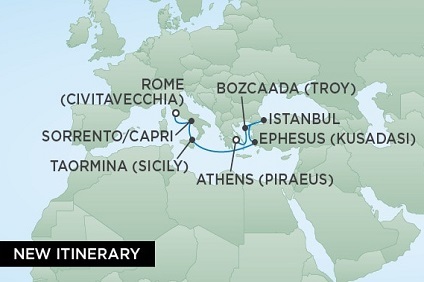 12 Night Cruise sailing from Athens to Rome aboard Seven Seas Voyager. 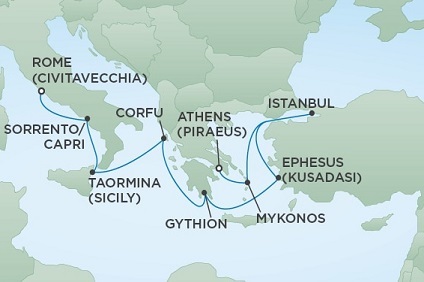 10 Night Cruise sailing from Athens to Barcelona aboard Seven Seas Voyager.